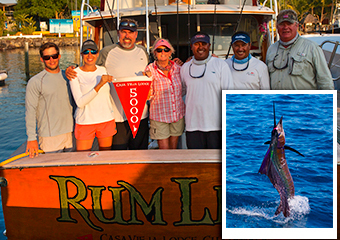 The Marlin Magazine editor John Brownlee, was in Guatemala in December 2013 to make an article about “Captain Chris Sheeder Record” and “Casa Vieja Lodge”. 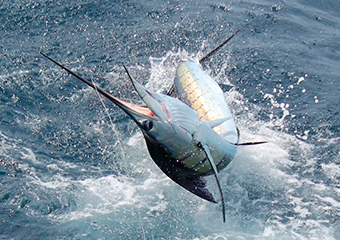 Captain Chris is the first person who has obtained the record release of both varieties sailfish and billfish, with the number of 5,000 fish liberations on fly mode. 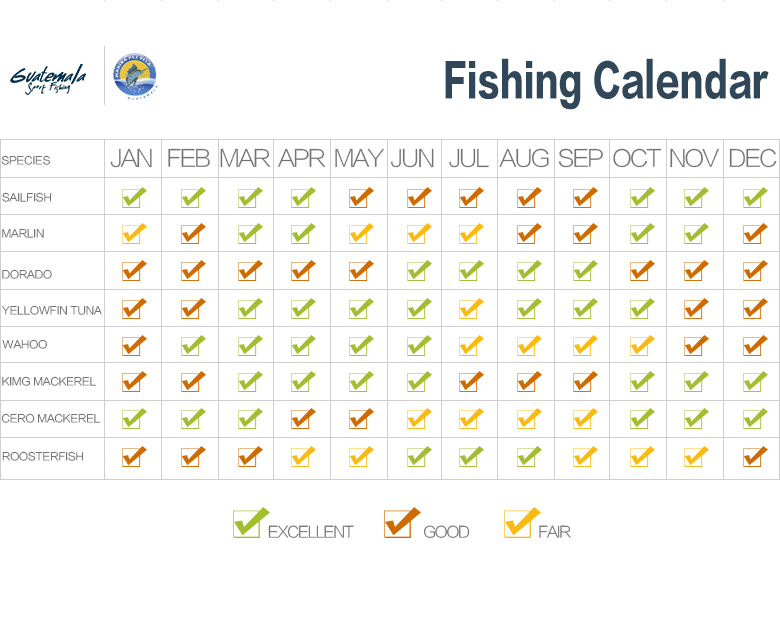 The Billfish Report is counting down its Top 10 Billfisheries of the Year, and our #7 Billfishery is Guatemala. Criteria for our Top 10 include fish numbers, variety of billfish species, average size of fish, length of season and numbers of boats fishing. 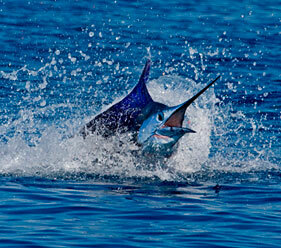 Guatemala is absolutely the best place on earth to catch a Pacific Sailfish and lots of them. While there are other areas in Central America that certainly boast good numbers, for some very spoiled fishermen in Guatemala anything less than 20 in a Day, is considered a bad day. Sailfish are not the only fish in the spread, with a good number of Blue Marlin raised, but make no doubt about it, the crews here are in search of the main body of Sailfish and when they find them, the bite can be epic. 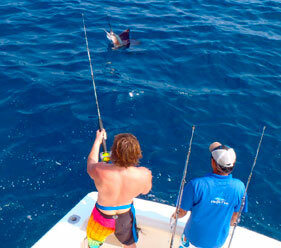 We had thirty-six (36) trip reports where boats had more than 30 shots in a day on Sailfish. Guatemala is a year round fishery, but there tends to be a heavy concentration of fish and thus fishermen for about 6-Months of the year. While some of the Sailfish can be large, not many big marlin are released here. We did get a report of one 500 lbs. Blue Marlin released on Decisive and a 650 lbs. Black Marlin released on A-Fin-Ity. Most of the Blue Marlin here are in the 300 lbs. 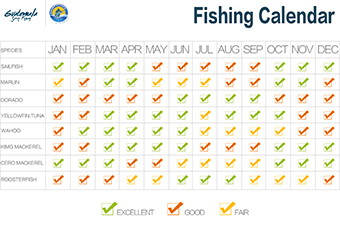 range with only a few Black Marlin caught each season. 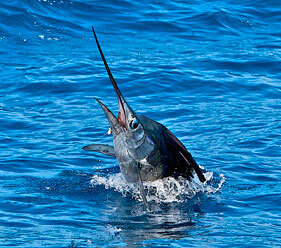 But in a fishery where you can get 40+ shots a day on Sailfish, you seem to forget about Mr. Marlin. Congratulations to all the crews fishing in Guatemala our #7 Billfishery of the Year! Italian music artists Mr. Postman and Reshmi have a hit song with "Before the Baktun.